Mercedes-Benz deals: What’s new, available to order and coming soon? 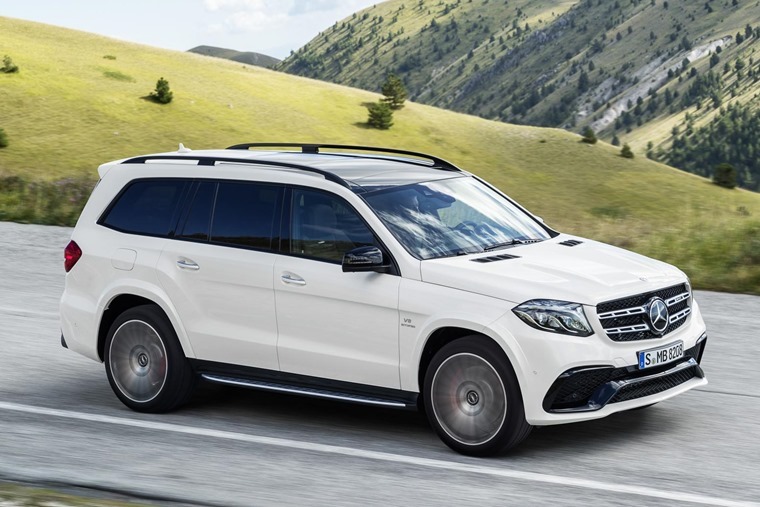 Mercedes has always been a favourite among lease customers, and its popularity has only increased in recent years, thanks in part, to its seemingly ever-expanding line-up. Whether you’re after a hatchback, people carrier, pick-up, small SUV, large SUV, low-slung four-door fastback or supercar, Mercedes has you covered. The range evolves every year and happily for us, we know what’s in the pipeline over the next year or so. Take a look at the infographic below for a better idea of what’s in the works, and when it will arrive. So what’s already happened this year? The eagerly awaited X-Class pick-up was the first new Mercedes to arrive in 2018. Available to lease right now, you can find out more about this luxurious beast of burden in our video review above. The all-new A-Class is probably the most tech-filled hatchback ever. It launched back in the summer, and is already proving a bit hit – it was the UK’s third most popular car in September. That puts it above more ordinary, less premium cars such as the Ford Focus and Nissan Qashqai. When you look at the lease rates, it’s little wonder. It is available to order for a great price now. Another perennial favourite of lease customers, the C-Class was refreshed earlier this year ushering in tweaked styling and the same clever MBUX infotainment tech as the A-Class – the digital instrument panel is available as an option, with the 12.3in diagonal screen replacing the analogue dials. The gargantuan G-Class was thoroughly refreshed in 2018; it might appear exactly as it ever has done, but you can count the parts that have been carried over on one hand. With touch-sensitive steering wheel controls, an infotainment system that responds to swiping motions, it has much more in common with an S-Class than its rather old-school looks would have you believe. Available now, if you can stomach the cost. Deliveries of the new AMG GT 4-door are set to commence in spring 2019, with entry-level models priced at an eye-watering £121,350. The cheapest (!) models will come with a six-cylinder petrol that produces 577bhp and 800Nm of torque – enough to give it a 0-62mph time of 3.4 seconds and a top speed of 193mph. Just the job for seeing off its main rival, then – Porsche’s Panamera Turbo. We’re betting on this one being a big hit on the leasing scene. Head on, it looks like the new A-Class hatch. Head around the back, however, and you’ll see that it benefits from an elongated rear end. It’s the first time an A-Class has been graced with a booted variant, and at just over 4.6 metres in length, it’s not far off the current C-Class in size. Deliveries aren’t set to commence until spring 2019, but a small number of lease deals on the A-Class saloon are available now if you see yourself in this A3 Saloon rival. If there was one car in its range that needed a refresh, it was the B-Class. Happily Mercedes revealed this new generation at the Paris Motor Show and, while its MPV-body style might not be a la mode, it’s certainly a practical proposition and a much better-looking car than the one that went before it. 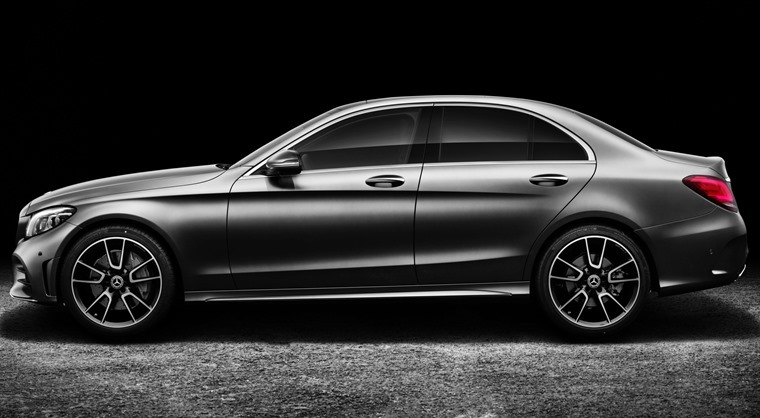 Like the A-Class Saloon, deliveries are expected to commence in spring next year. Thought the A-Class Saloon was the CLA’s replacement? Don’t be silly, this is Mercedes we’re talking about! 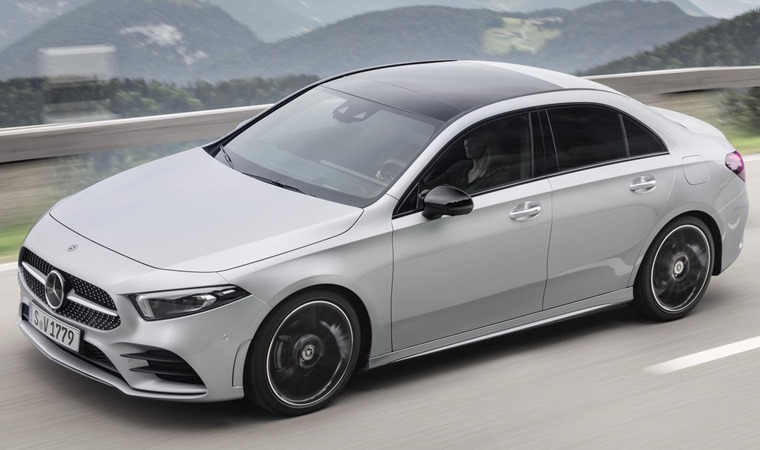 Yes, despite the new booted A-Class and the C-Class not being far apart in terms of dimensions, the CLA is due to be refreshed, with the new version probably taking a step up in both size and what it offers from a styling perspective. No official pictures have been revealed, but we’ll keep you in the loop as soon as we hear more. The GLC and GLC Coupe are set to be upgraded in mid-2019. This essentially means we can expect a mid-life refresh for this mid-size SUV. Tweaks are likely to include a minor facelift. Spy shots suggest some new headlights and grille will be present, similar in design to those the recently revealed GLC F-Cell gets (pictured above). Expect to hear more in summer 2019. 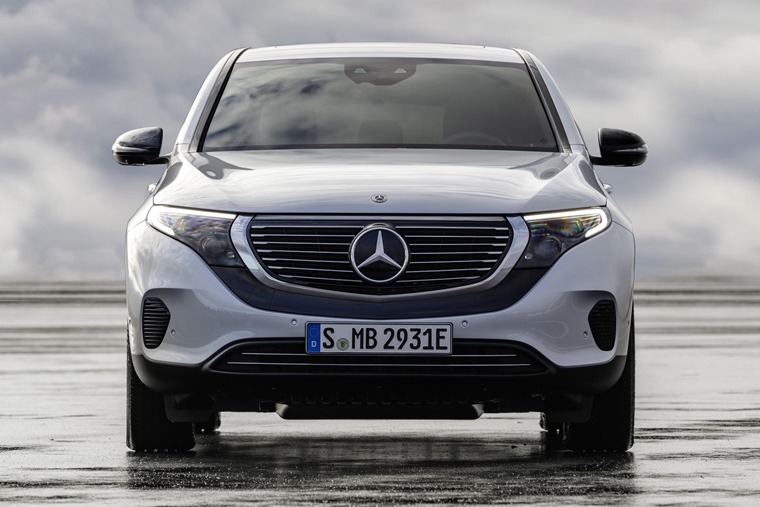 This will be one of the most significant cars Mercedes launches next year, and could potentially go down as one of its most important models ever – the EQC is the first all-electric car Mercedes will launch. Aiming to take on Audi’s e-tron and Jaguar’s I-Pace, it will be the first model in the EQ range. With two electric motors producing 402bhp, it is capable of around 280 miles on a single charge. Mercedes also claims its batteries can be recharged from 10% to 80% capacity in approximately 40 minutes. UK prices should be revealed next summer, although deliveries won’t start until the end of the year. G-Class aside, the GLS is the biggest and baddest SUV in Mercedes’ arsenal, and it’s due an update. Little is known about it at the minute (current gen is pictured above) but it should be revealed in late 2019 – potentially at the Frankfurt Motor Show. With seven seats and some serious road presence, you can expect the new car is fit to rival cars like the new BMW X7. 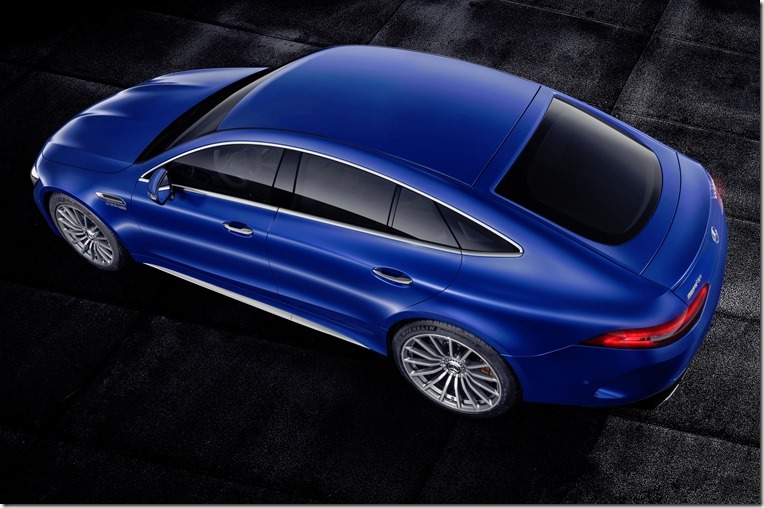 Arriving in the third or fourth quarter of 2019 is the CLA Shooting Brake – the more practical version of the CLA. Like the former, expect it to grow slightly compared to the current generation, with pricing likely to be more in line (or potentially more than) the current C-Class. The good news is, however, that monthly rates for the current Shooting Brake will reduce even further before the all-new model arrives. That said, they’re currently available in AMG Line trim for less than £250 per month – already a seriously tempting deal. And finally, we have the all-new GLB. Well, that’s what we reckon it is anyway. 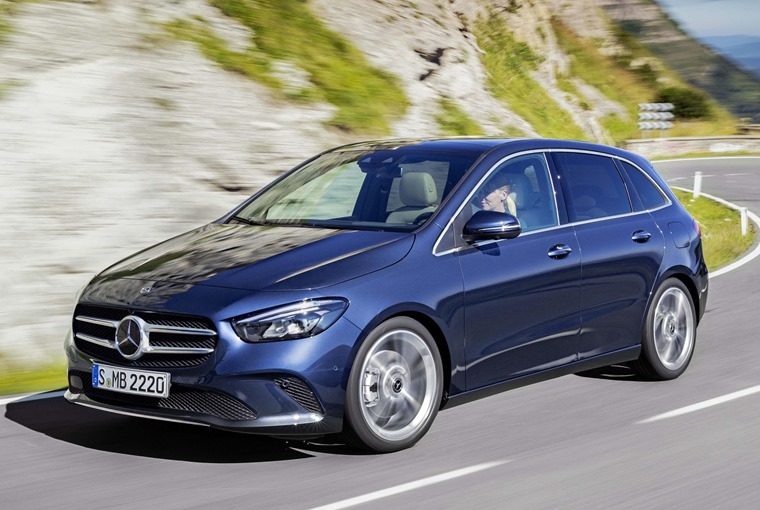 On Mercedes’ road map it is labelled simply as ‘eighth compact car’. It’s been in the works a while though, and a heavily disguised mid-size SUV has been spotted out in the wild. So what will it be? Well, exactly that: a mid-size SUV. 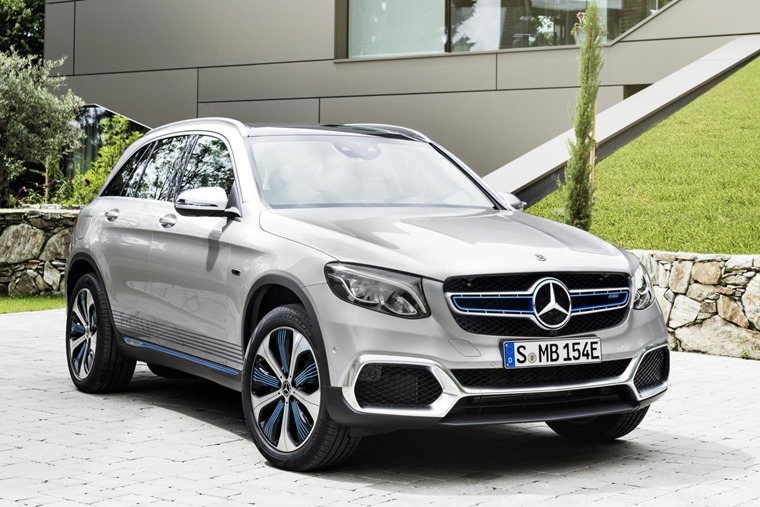 Mercedes isn’t one to miss out on a niche, and will essentially be the equivalent of BMW’s X2. Some people reckon it’ll go down a different styling path than your average Mercedes SUV though, with it potentially coming to market as a more affordable ‘mini’ G-Class. We’ll have to wait until the end of next year to find out. 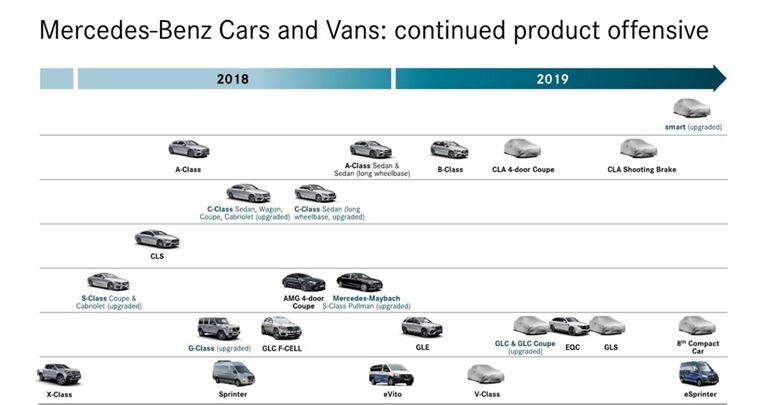 We know vans aren’t exactly the most exciting vehicles Mercedes makes, but 2018/19 will see the launch of several commercials. 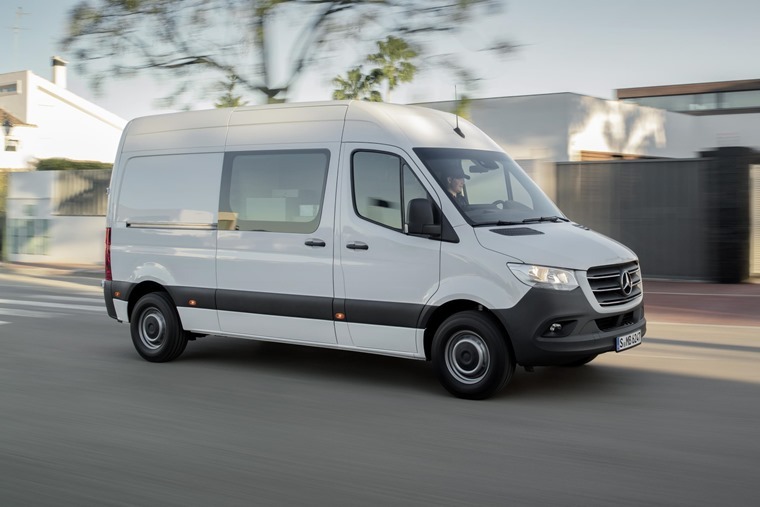 The most prominent launch is the all-new Sprinter, that’s available to lease right now. Meanwhile, the electric eVito and eSprinter will also make their debuts next year and the V-Class will get an update, albeit a mild refresh. Can’t wait for these new vehicles? If you have your heart set on a Mercedes right now, you can check out thousands of personal lease deals by clicking here.